Since the early 1930's our government has been "protecting" us from the "dangers" of whole, raw milk. How do they do this? By killing the whole, raw milk by pasteurizing it! 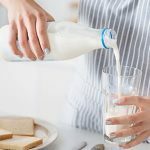 Interestingly, pasteurization also increases the shelf life of milk, making it much easier to mass-market, maximizing profits for the dairy industry. Real milk comes from real goats or cows that are allowed to graze in toxin-free pastures. Besides tasting great, raw organic milk is a precious, life-giving food. But extreme temperatures used to pasteurize ("cook") the milk can render it life-depleting. Pasteurization destroys almost all of the nutritive value of cow's milk. The milk everybody drinks today is far from whole, and in my opinion is not ideal for human consumption. Pasteurization also destroys beneficial bacteria found in raw milk . It kills the natural enzymes and destroys the chemical make-up of calcium in raw milk. 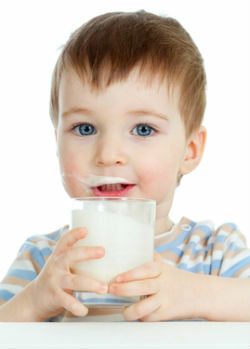 Calcium is vital to the growth and health of children. Pasteurization has been implicated in everything from allergies to heart disease to cancer. Truly, the resulting product after pasteurization is not raw and living, but rather "killed and dead." Raw Milk: Why the Fuss? The fuss about raw milk has to do with pathogens - organisms that can cause diseases such as Salmonella. 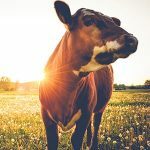 But whether or not raw milk carries pathogens depends on the way the milk is produced, how the animals are fed, and the care that's taken to keep the milk clean during production. Today's pasteurized milk comes from cows crammed in cages loaded with synthetic hormones and antibiotics. Homogenizing purposely destroys raw milk's natural butterfat to separate and hide the cream from the consumer. European studies show that this is dangerous and may cause heart disease . Of course our FDA disputes this. Homogenized milk is quite unnatural! Back in the 20's Americans could buy raw, clean, grass-fed milk and cheese – and at that time milk-borne diseases were rare. Can you believe that suppliers of organic, raw milk today are required to display the words "Not fit for human consumption"? It's true! I firmly believe that true health starts in the colon. Raw milk contains the milk sugar "lactose" in its purest form and lactose aids in digestion and elimination. And organic, raw milk is the only food that has it in a usable form! I do not consume animal milk, but, if I did, I would only consume raw goat milk. Organic, raw milk is a complete food, loaded with minerals, protein, and vitamins. Raw milk contains an amazing selection of minerals ranging from calcium and phosphorus to trace elements. Pasteurization destroys them and they must be re-supplied. The earliest possible records show that man valued milk intensely, including milk from goats, camels, horses, even reindeer! And most certainly it was of the unpasteurized, raw organic variety. Herdsmen in Asia coveted milk even before the Bible praised the "land of milk and honey." And it's amazing to think that, almost always, the folks known most for their great health and long life, like the Bulgarians and Russians, are heavy consumers of raw milk and milk products, not to mention that they eat hardly any meat! As a vegan alternative, try drinking organic nut and seed milk. My favorite is hemp milk. Armchair Science, London. 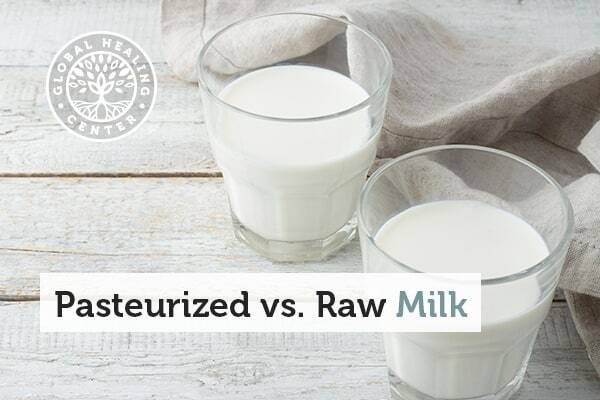 Raw milk vs. pasteurized milk. The Weston A. Price Foundation. 200 January 1. ProCon.org. Does drinking milk contribute to heart disease? ProCon.org. 2008 April 8. Healthy Eating Politics. Raw Milk: One of Nature's Healthiest Foods. 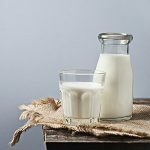 Raw-Milk-Facts.com. The Health Benefits of Raw Milk. Sally Fallon Morell, Mary G. Enig PhD. Enzymes. The Weston A. Price Foundation. 200 January 1. Raymond Robinson, Pamela Robinson. Benefits of Raw Milk. Robinson Farm. The Weston A. Price Foundation. A Brief History of Raw Milk's Long Journey. Terri L. Saunders. The Case for Raw Milk. Gordon Watson. Raw milk seen as an important part of natural-cancer-therapy-protocol. The Bovine. 2009 June 2. Ramiel Nagel, Dr. George W. Heard. Raw Milk Beats Tooth Decay. Paavo Airola, Ph.D., N.D. The beauty of raw milk. The Facts on Milk. 2003 July.